Alrighty now! I’ve got a DIY trick that cheats the work and money so much, you’re going to freak out. No, seriously, I mean it. Let’s break it down. 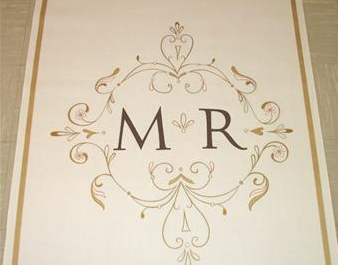 Monogram aisle runners. Love it or hate it? If you love it, then here’s the low down. You can order a custom one and pay for the fabulous non-slip quality variety like these ones from Original Runners. 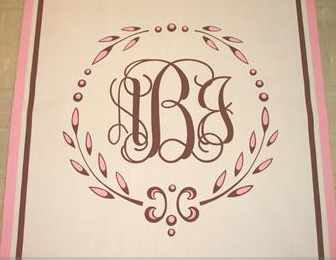 Now, if you can’t afford these pretties, but you want a monogram runner, I’ve seen a few people who suggest the old stencil-and-paint routine. 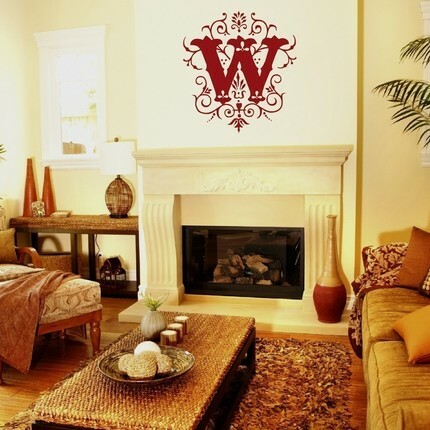 Awesome idea, but honestly, I am not neat enough, coordinated enough, OR patient enough to search for just the right stencil and apply paint in any sort of tidy manner. (Just ask my sisters: when we’re painting walls, they don’t allow me help…I’m always assigned to taping duty!) With my luck, I’d end up with some sort of foot print and a shmooshed smear from my hiney having bathed in wet paint. I’m not kidding. Paint and I do NOT get along. Here’s where the super brilliant short cut comes in. Are you ready for this? You won’t be able to deal once you see how over-the-top easy this is. You are going to die. I. mean. it. Just My Luck Designs from Etsy offers custom vinyl sticker monograms. That’s right…custom stickers (and they start at just $13!!!). 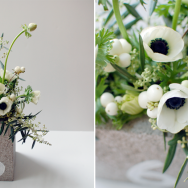 They’re usually for walls, but what’s stopping you from throwing it onto your aisle runner? It’s that easy…peel off the back, slap it down and voila! You’ve saved yourself a couple benjamins and/or TONS of hours. 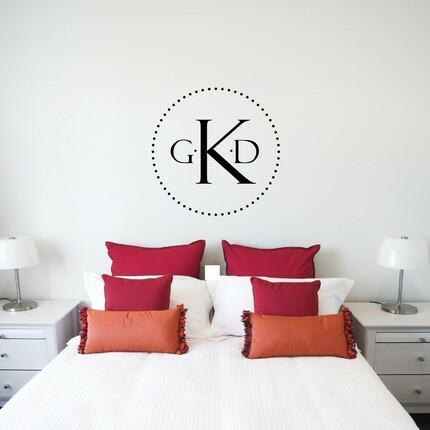 I’ve never been motivated to either purchase or paint a monogram on a runner, but with an option this easy AND affordable, I think I may just put it on my “must have” list! Please tell me you’re impressed! 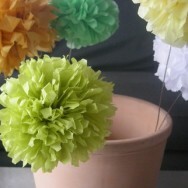 Monogram Etiquette	 DIY Friday: Poms	 DIY Friday! 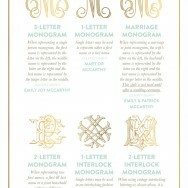 I for one am for the monograms. I LOVE them. I want to try this for my daughter's wedding. Will this stick to fabric well.